DM Metalloys Pvt. Ltd. is a reputed manufacturer, exporter and supplier of stainless steel HR/CR i.e hot rolled and cold rolled sheets in India. Our HR/CR sheets can be easily handled into various shapes and applications. Cold rolled sheets are frequently used in precision sheet metal requests due to their excellent surface condition, material consistency and accuracy in thickness. 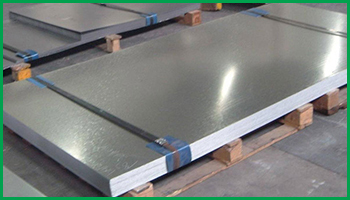 Stainless steel sheets have the added benefit of being corrosion and oxidation unaffected. When steel is above the recrystallization temperature, it can be shaped and designed easily, and the steel can be made in much larger sizes. All cold products provide a superior surface finish, and are superior in tolerance, concentricity, and straightness when compared to hot rolled. DM Metalloys Pvt. Ltd. Supplies Stainless Steel HR/CR Sheets in Faridabad, Gurgaon, Gurugram, Gaziabad, Noida, Lukhnow, Delhi, Delhi NCR, Ludhiana, Amritsar, Chandigarh, Jalandhar, Baddi, Punjab, Uttar Pradesh, Haryana, Mumbai, Pune, Sahibabad, Meerut, Manesar, Bhiwadi, Bawal, Neemrana, SIDCUL, Sonepat, Ambala, Mohali, Panchkula, Kapurthala, Bareli, Kanpur.